How low can it go? A snowy end of term for Reigate? Think it’s cold now? Just wait until the middle of next week! A high pressure developing to the North of the UK and a LOW over Europe is likely to “open the door” for Easterly and North Easterly winds blowing from a VERY cold Scandinavia or “Siberia” (well, actually the continent really) straight over the UK. Check out how jolly cold these places are … a cool -20C! 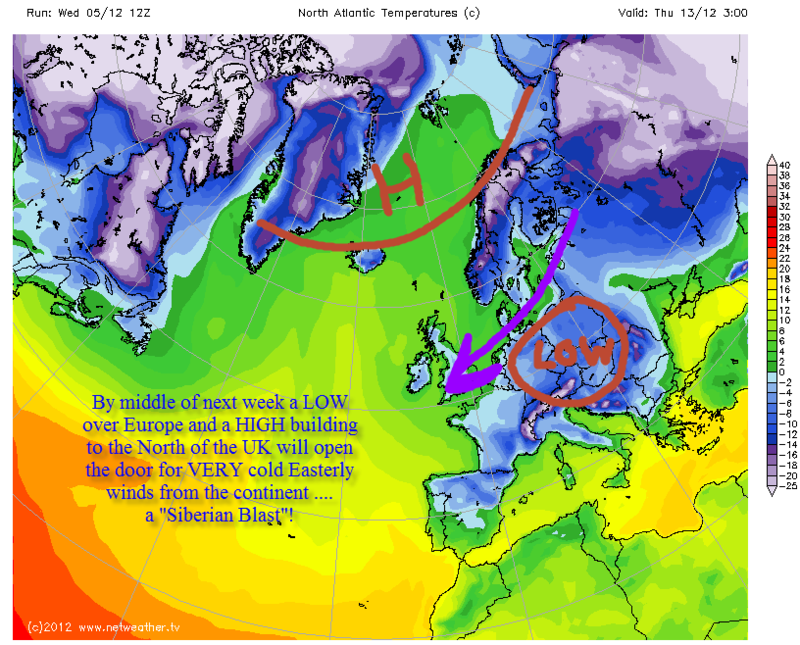 It looks very much like the UK will pick up winds coming direct from these chilly “source regions” next week. These icy winds usually bring a stack of wintery showers to the East of the UK… so, yes Reigate may WELL get some proper snow for the end of term! This may sound like the Daily Mail but this might just be the start of winter proper. Wrap up, Winter is coming next week!